The following resources are available for students, faculty and staff to view online materials related to counseling issues. Many people associate substance abuse and dependency with addiction but there are other forms of addictive behavior that the following resources highlight. 2. Office of Problem Gambling (California Department of Alcohol and Drug Programs): The office is in charge of developing statewide programs to address problem and pathological gambling issues http://dmh.mo.gov/ada/progs/gambling.htm. According to the 2012 Missouri College Health Behavioral Survey, anxiety is the number one mental health concern experienced by college students. The following resources will help you determine if you need to seek professional help. The following is a website that serves as a good general reference for mental health resources by state. 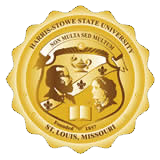 According to the 2012 Missouri College Health Behavioral Survey depression is the second leading mental health concern of Missouri college students. The following resources will assist you in recognizing the signs and symptoms of depression. The following sites offer educational resources regarding anorexia, bulimia, eating disorders that require professional attention. Death is an inevitable part of life and losing a loved one is difficult. The following resources provide information on the stages of grief and when to seek professional help. Experiencing relationship violence or sexual assault can be an overwhelming experience. The following resources will help you understand sexual assault. Counseling Services encourages you to seek counseling if you have experiences sexual assault. CDC published a vital signs report in November 2012 on HIV among youth in the US. The report noted that about one in four (26 percent) of all new HIV infections are among youth ages 13-24. Nearly 60 percent of new HIV infections in youth occur in African Americans with another 20 percent occurring in Hispanics/Latinos. The following sites offer resources and information regarding HIV/AIDS. 7. Start Your Recovery.org offers people who are dealing with substance use issues a single source of reputable, objective information about signs, symptoms, conditions, treatment options, and resources — presented in a user-friendly format and in language that’s easy to understand. Did you know that suicide is the third leading cause of death for young African-Americans? The following resources will open your eyes to rising statistic and provide resources for who may be thinking about suicide or know someone who may be suicidal. Make the Connection connects Veterans, their family members and friends, and other advocates with mental health information, local resources, and inspiring stories of recovery. Visitors can find reliable information on how to cope with challenges such as posttraumatic brain injury, military sexual trauma and transitioning from service. The site is free and accessible for everyone.